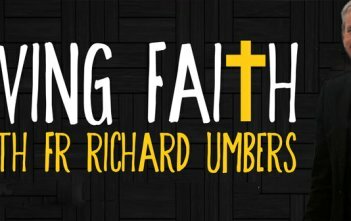 Teachings and reflections on living a life of faith by Sydney-based priest Rev Dr Richard Umbers. Christ makes Himself truly present to us in the Mass: do we make ourselves truly present to Him? Christ promised us the gift of His peace to help us endure all things, but a strong prayer life is essential. Fr Richard Umbers reflects on some of the obstacles that hinder our interior life, as well as the things that can help us along. How often to we stop to consider what it really means to be adopted children of God, the Alpha and the Omega, Creator of all things? Take a 30 minute retreat with Fr Umbers to reflect on the importance of this for our prayer and our everyday lives. It’s easy to get into the habit of lying to ourselves and to others out of fear of failure or our desire to maintain the approval of others. In this edition of Living Faith, Fr Richard Umbers challenges us to be sincere, particularly in spiritual direction, so that we may grow in humility and holiness. In this edition of Living Faith, Fr Richard Umbers leads us in a reflection on the theological virtue of hope, which keeps us persevering in the life of faith. In this edition of Living Faith, Fr Richard Umbers reminds us that the heights of sanctity are reached through the little things in every day. In this edition of Living Faith, Fr Richard encourages us to embrace our sufferings and battle temptation that we might grow closer to Christ and draw others along with us.